Waterproof Shower Curtain Just $9.95! You are here: Home / Great Deals / Amazon Deals / Waterproof Shower Curtain Just $9.95! Amazon is currently offering this beautiful Waterproof Shower Curtain for just $9.95 PLUS FREE shipping with Amazon Prime or for orders over $25! The crisp edges of this beautiful yet functional curtain keep the water and heat in the shower where they belong. The translucent curtain’s whimsical black and white tree design is modern and visually appealing. 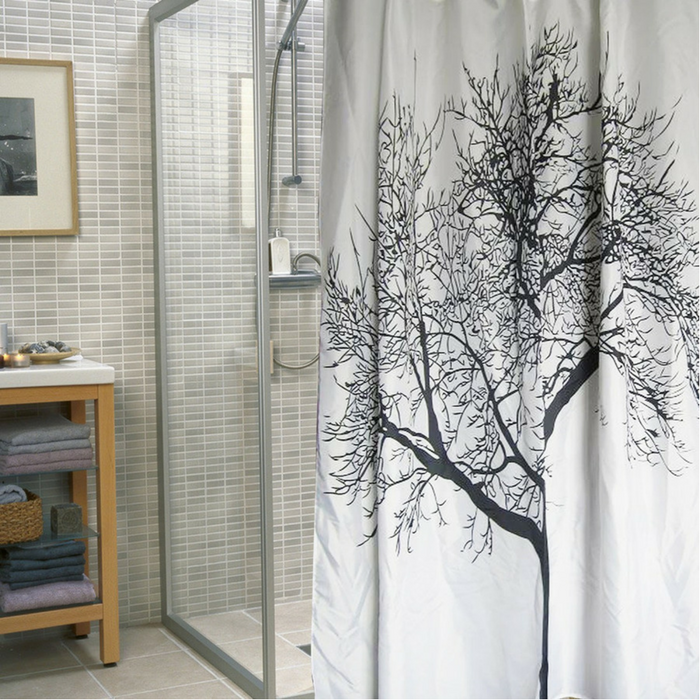 With a simple, clean look this shower curtain will become an essential part of your bathroom decor. Quality material holds up well, leaving your bathroom fresh and clean, shower after shower.